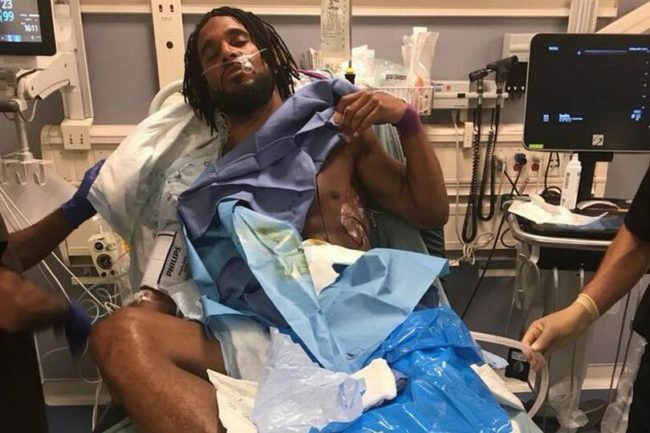 Ashley Williams has posted a photo of himself in a Beverley Hills hospital on Facebook, after the Wales captain suffered a collapsed lung during his side’s 0-0 draw with Mexico on Tuesday. Williams was involved in a collision with Javier Hernandez during the game, which led to the 33-year-old defender suffering two broken ribs and a punctured lung. The damaged lung would then collapse, leaving the defender needing surgery. Look forward to flying home and resting up now before the new season. A crazy couple of weeks. Great to be back in a FA Wales shirt and with the lads. However after coming off after 20 minutes with multiple breaks on two ribs, I went to hospital and found out I had punctured my left lung which led to it collapsing. Let’s hope the ex-Swansea man makes a full recovery ahead of the new season. Dear Ashley: no need to rush back and risk further injury. Best stay in hospital and make sure it’s fully healed… at least until, ooh let’s say the middle of May 2019?! Best wishes, everyone who supports Everton and has seen you play over the last twelve months. Wow. I suppose you have some kind words for Sir Alex’s recovery as well?